Lativan p2p lending marketplace Mintos just launched a cashback campaign running for the remainder of December. Investors investing in new loans with a term of at least 24 months on the primary market will receive a cashback of 2% to 5% depending on term length. The cashback will be credited within 6 days says Mintos. This is a big bonus that goes on top of the 12 to 14% interest rate that these longer term loans at Mintos typically carry. Important: To be eligable an investor needs to enroll once for the campaign by clicking on the promotion banner inside the Mintos dashboard. Most loans on Mintos are in EUR currency, but other currencies are available, too. Only recently Mintos started listing loans in GBP currency too. See the P2P Banking cashback page for more cashback offers. “Investing long-term has many benefits. Loans with a maturity of two years and more on average have higher interest rates. As the maturity of these loans is longer, these higher rates can be locked-in for longer as well, thus avoiding cash drag effect. Also, investing in long-term loans allows for a better diversification, because this way investors can access types of loans and borrowers that have a different profile than the average short-term loan takers. We hope that in combination with our cashback campaign, all of these benefits will help our investors reach their investment goals in a more efficient and rewarding way,” says Martins Sulte, CEO and co-founder of Mintos. Peer-to-peer lending platform Fellow Finance is now open for borrowers in Germany. Wirecard Bank supports the Finnish FinTech company Fellow Finance to enter and provide a digital infrastructure for the German financial market. 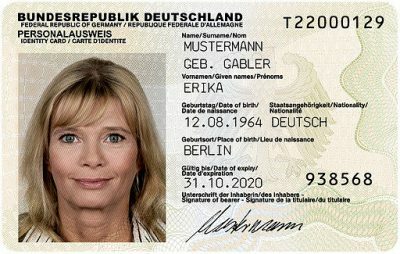 Wirecard Bank will place their German full banking license at the Fellow Finance’s disposal and in addition enabling a completely digital credit process. Under German regulation (KWG) only banks are all allowed to make loans, meaning all p2p lending platforms need to partner with a transaction bank. It is not a full p2p lending offering as investors cannot invest into the German loans on the platform. And Fellow Finance states in their TOC that they do not advise borrowers regarding the loans. So it looks to be an attempt to capitalize on the reach of the brand. The website for the German market is running on the national domain Fellowfinance.de. Update: While the German website explicitly states that retail investors cannot invest, the wording might be misleading and actually might mean only that investors need to go through the Finnish site in order to invest. On the Finnish site the ability to filter for German consumer loans and to set up allocators (autoinvest) for German loans is present. In future, Wirecard Bank will support Fellow Finance in the scoring of potential borrowers and carrying out payment transactions. This means that end consumers in Germany will be able to quickly apply and raise a loan in competitive interest rate. The German market is very competitive and so far p2p lending marketplaces have found out it is not easy to compete with the banks. In Germany Auxmoney is the largest p2p lending marketplace offering consumer loans. After months and years of announcements and waiting Funding Circle Germany yesterday published loan book performance figures. 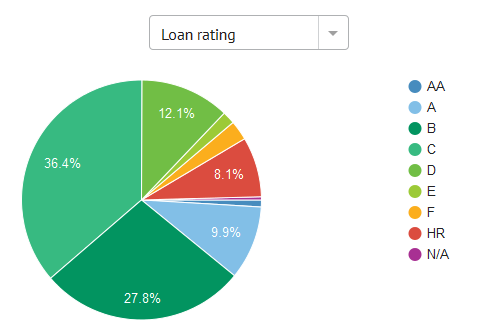 Data reported is on all loans since launch on March 30th, 2014 (at that time Zencap) and as of June 30th, 2017. In total there were 920 loans. I would have linked to the source here, but Funding Circle pulled the figures within hours after publication and the page now returns a 404 error (I did save a screen shot before they were pulled). I reached out via email to Funding Circle asking for the reasons, but have not received a reply up to the point of publication of this article. Update: I received a reply from Funding Circle stating that the figures were not correct and did not match Funding Circle’s global reporting format. An example given was that payments made by defaulted loans were omitted. Funding Circle strives to publish the corrected figures asap. 2nd update July 13th: Funding Circle has now published updated figures in changes format. They are online here. Phrasing it differently one could say that 9.6% (6,4M/66,6) of all issued loans are currently overdue or in default. In my view the figures give a very bleak – but correct picture of the state of Funding Circle Germany’s loan book. Overdue and default figures are high. With nearly 6% of the loan amount in default and more than another 6% of the remaining loans overdue, there is a very high probability that many investors will incur (after tax) losses. Usually German investors cannot offset default losses against interest earned. I invested into 27 loans with 100 EUR each (the minimum bid). I stopped investing already in February 2015, after only 10 month, when it became clear to me that Funding Circle Germany had higher overdue figures than expected. However as there is no secondary market at Funding Circle Germany I was stuck with the loans until maturity. I already received back 2,303 EUR of the principal, so there is only about 15% of my investment amount still outstanding. I might get away with a return around zero, as my defaults + overdues are still lower than the interest paid, but it will be close as I have to pay taxes on the full interest earned regardless of defaults. My dashboard still claims 4.12% yield for my portfolio, which does not reflect reality as I see it. The only chance for that to happen would be full recovery of defaults and overdues, which is an unlikely scenario. Investor sentiment towards Funding Circle Germany seems to have turned mostly negative to sarcastic in the past two years if you look at the massive critic on the Funding Circle forum at P2P-Kredite.com. 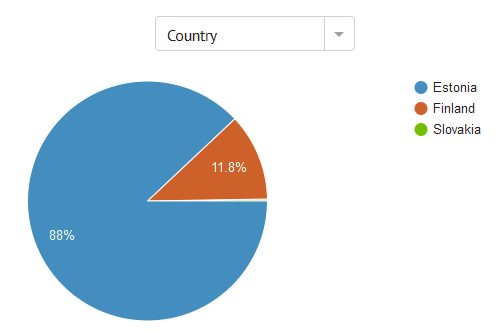 Funding Circle Germany no longer publishes statistics regularly on new monthly loan volumes. 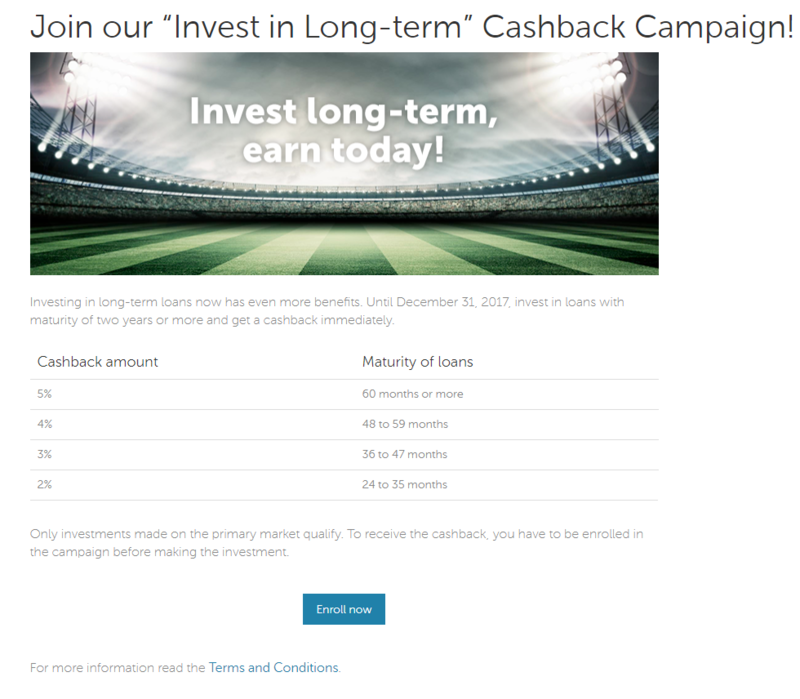 For investors, that considered using the Lendy platform, but have not yet signed up, now may be a very good time to do so, as Lendy is offering 50 GBP cashback to investors that invest at least 1,000 GBP on the condition that this amount stays invested for at least 3 month. Lendy lists bidge loans secured by commercial property. The interest rates are typically in the range of 7% to 12% and the loan duration is typically 3 to 12 months. 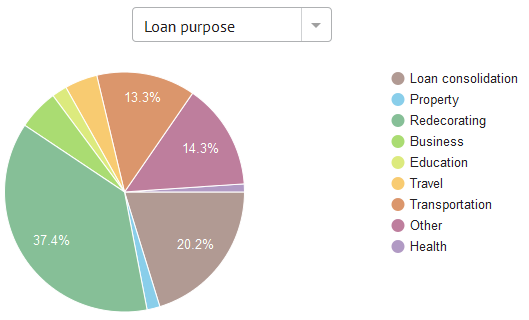 Currently a lot of loans are offered on Lendy’s secondary market, which will allow easy diversification into several loans upon signup. I have been investing on Lendy for 2.5 years now (when I started it was still called Saving Stream) and I reviewed my Lendy portfolio only last month on the blog. Lendy is open to international investors. While a UK account is not mandatory, I suggest opening a UK bank account online via Transferwise – this will make things easier, if multiple UK marketplaces are used (my article on Transferwise Borderless account). To get the cashback, just register at Lendy via this link and start investing. See more p2p lending cashback offers and subscribe to be notified when new cashback offers are listed. Just before the weekend Bondora sent me an email with a personalized investment overview video (click here to see mine; I was not able to embed it directly here in the blog). The video page encourages sharing via social media (Google, Linkedin, Facebook, Twitter), so obviously an aim is to aid in investor marketing. In future I might need to spend less effort on my personal portfolio reviews and post the video instead (just kidding). The highlighted return figure is higher than my own calculations, but I did achieve a high return on Bondora over the past years. 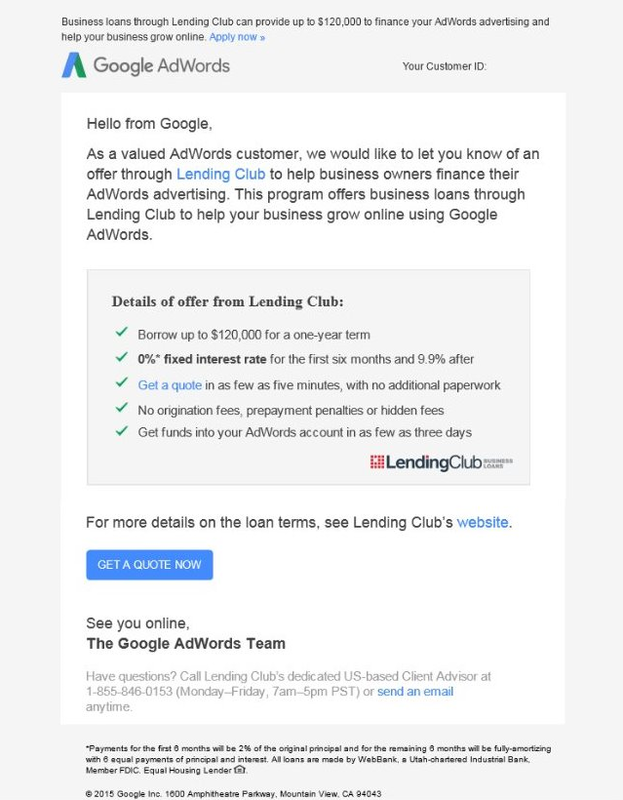 Have you seen other attempts on viral marketing via investors by p2p lending marketplaces? Let me know in the comments, please. Currently there is an increase of promotions by p2p lending marketplaces in order to acquire and activate retail investors. 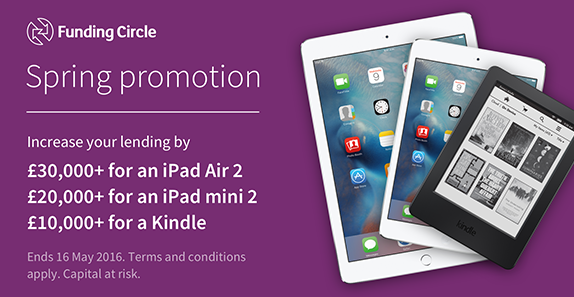 Cashback offers are more frequent and Funding Circle is giving away iPads to investors that will invest at least 20,000 GBP during the Funding Circle spring promotion. Investors welcome these added benefits, but for marketplaces it is a fine line to walk. They want to grow originations, but risk that investors will expect getting extras and might hold back further investments until the next offer is made.